“Easy Engineering” magazine follows a unique style for the construction industry, an industry that is ever growing and in a continuous change but that has a bigger and bigger demand for information. Commercial and easy to read, it’s target is a large audience, from companies, managers and decision makers in the construction industry to people who want to be informed concerning the latest tendencies about equipment, technology, machines or work techniques and related areas, thus having a various editorial plan. There is a large variety of articles, starting with practical advice for utilization and updated information about the latest tendencies in work execution or choosing the right equipment. Being a very complex domain, complementary, there are more industries like building materials, cleaning equipment, electrical, ecology, science, innovation and many more, that the magazine also covers. It is the first magazine in Romania that unites all these industries in one place so that the reader will find the answer to all his problems and read the magazine with pleasure. 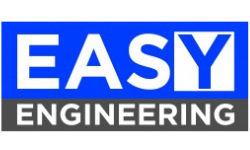 Also, “Easy Engineering” is a partner of: Discovery Channel Europe, The Romanian Chamber of Commerce and Industry, Construction Companies Association, Romanian Green Building Council, Construction Materials Producers Association, Arilog and many more institutions. The distribution is done through an intelligent network and to be in contact with all the innovations from the industry, we are media partners with all the biggest fairs, nationally and internationally, for example: Romexpo, Renexpo, Stivex, Uticam, Bauma Germany, etc.